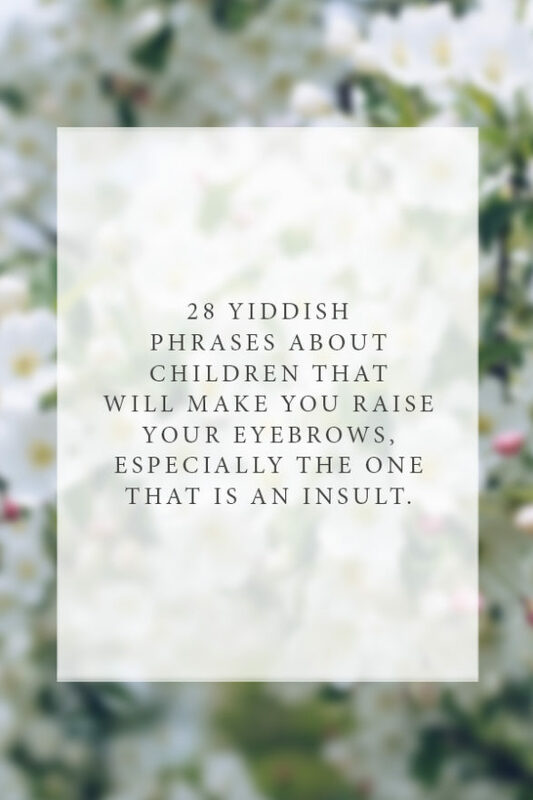 28 Yiddish Phrases About Children That Will Make You Raise Your Eyebrows, Especially The One That Is An Insult. Yiddish is a truthful language and it captures the depth of emotional experience. Earlier, I wrote about common Yiddish words that every woman should memorize. Here are 22 Yiddish phrases about children that I found here. I made the phrases into beautiful Pinterest pins to help us put more Yiddish phrases onto Pinterest. Enjoy and pin away! Your turn: Which phrase resonates with you the most and why?